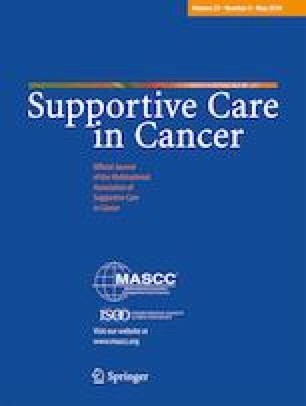 The goal of this study is to investigate the meaning that cancer patients in active therapy and/or rehabilitation give to their illness and resources they rely on to build new experiences of meaning and a future perspective. The present study consisted in a summative content analysis of answers to open questions of the Purpose In Life (PIL) Questionnaire administered to 158 consecutive patients with non-advanced cancer (no metastases). The PIL is an attitude scale that indicates the degree of attainment of meaning and purpose in life and is divided into three sections: a first 20-item quantitative section, with statements rated on a 7-point verbal scale with two anchoring phrases (part A); a qualitative section with 13 open-end items and paragraph composition section addressing the future goals (part B) and past meaningful experience (part C). For the present study, we analyzed the answers to open questions, most interesting in a therapeutic contest related to the meanings associated with life, illness, and suffering to understand the experienced of the cancer patients. The main recurring themes in PIL section B analyzed associated to the sense of life, disease, and death are as follows: meaning (positive/negative), personal dimension, religiousness; physical health, family, normal life; negative sense of death, the end, natural transition, religious belief, consolation, mystery, rejection; opportunity, negativity. Whereas main themes emerging from section C were associated to life goals of the interviewed patients: the desire of realization in the future perspective; the value of life; physical health and healing; guiding values; plus three more themes, distinguishable, but with a minor recurrence: legacy responsibility, religiousness, lack of purpose/resignation. The use of summative content analysis evidenced the recurrence of a strong sense of positivity, present in the majority of the interviews. In particular, this positivity is shown by the use of words associated frequently to self-consciousness and self-evaluation, desire of happiness, and desire of contributing to the good of significant others and of taking care of your own life in order to give a positive contribution. The online version of this article ( https://doi.org/10.1007/s00520-018-4444-2) contains supplementary material, which is available to authorized users. Approval was obtained from the ethics committees of all participating centers, with the number 68/2010 Istituto Nazionale dei Tumori.